If you are planning a visit to the Lake District you’ll be spoilt for choice for places to visit, things to see and mountains to climb, that you might not know what to do first. It might be a good idea to make a bucket list to help you fit everything in – at the top of that list we would recommend you pay a visit to Ullswater. We’ve put together our top 5 reasons to visit this fabulous area. The Ullswater Way is a 20-mile walking route around Ullswater, the second largest lake in the Lake District. You can decide your own direction and starting point and if you don’t fancy walking the whole route, you can break it down into shorter sections, using an open top bus or steamer to start your journey! A trip on the award-winning Ullswater ‘Steamers’ is a true Lake District experience that you will never forget. Here you can relax and take in the sights, running all year round, you can hop on and off at any of the following landings; Glenridding, Howtown, Pooley Bridge and between Glenridding and National Trust Aira Force Pier. 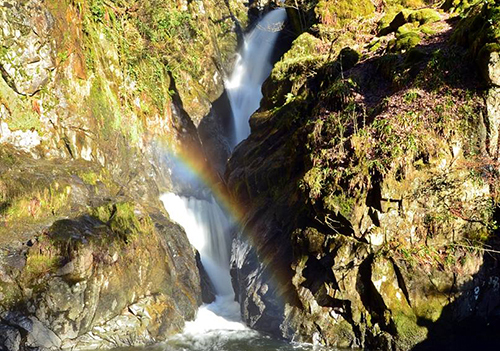 Unfortunately, the weather is one thing that you cannot guarantee when visiting the Lake District, but don’t let that dampen your spirits, Aira Force is a sight for sore eyes after a heavy rainfall. This fabulous attraction is definitely worth a visit and can be found between Pooley Bridge and Glenridding. The magnificent Helvellyn mountain range towers above Ullswater, this is third highest point in the Lake District so please take care if you decide to tackle it. 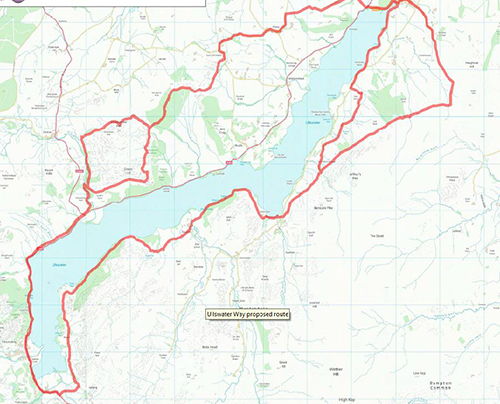 Make sure you have strong footwear, appropriate clothing, plenty of water and a map. 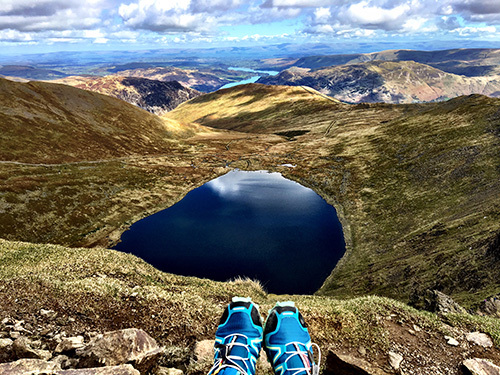 From the top the scenery is stunning, showing off three deep glacial coves and two sharp-topped ridges – Striding Edge and Swirral Edge. We may be biased, but one of our top 5 reasons to visit Ullswater has to include a visit to the Inn on the Lake. 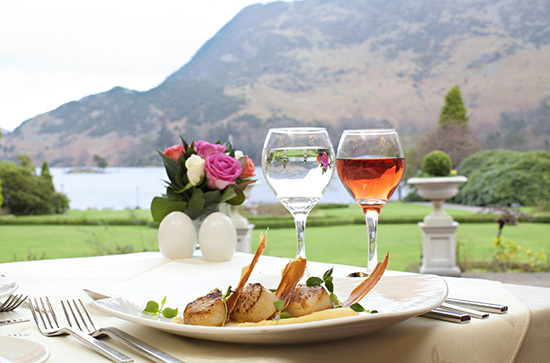 Set in 15 acres of landscaped grounds on the shores of Ullswater, we offer a little something for everyone, from a warm welcome, delicious dining, to a comfortable nights sleep.